A white supremacist group’s plans for an anti-Semitic march in Stamford Hill has sparked public outcry. On Friday 30 January, the group Liberate Stamford Hill began promoting plans for a march to be held on 22 March, prompting calls for counter-protests on the day. Liberate Stamford Hill announced the event on Twitter and Facebook in protest against what it labels the ‘Jewification of Great Britain’. The announcement is accompanied by anti-Semitic images and slogans. Stamford Hill is home to one of the country’s largest ultra-Orthodox Charedi Jewish communities. The plans have been led by Joshua Bonehill, a 22-year-old far-right activist based in Yeovil, Somerset. 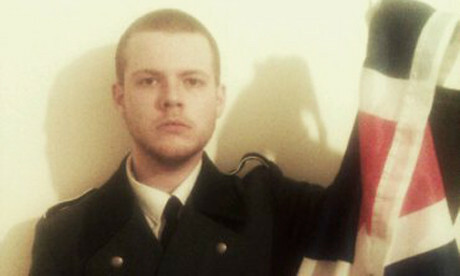 Speaking to the Citizen, Bonehill described himself as “a proud anti-Semite”. Bonehill is a member of the far-right National Action party. He has previously supported the Conservative party, then the United Kingdom Independence Party, and the British National Party. Bonehill has written to Hackney Council and the Metropolitan Police on behalf of Liberate Stamford Hill requesting permission for a road closure through Clapton Common to Rookwood and Egerton Roads, to the A10 at Stoke Newington station, from 2pm on Sunday 22 March, culminating in a rally at Clapton Common. “This is completely at odds with the long and proud history we have in Hackney of our diverse communities working and living together. Permission to hold protests and marches must be granted by the Metropolitan Police. A Metropolitan Police Notification of Public Procession document seen by the Hackney Citizen outlines Liberate Stamford Hill’s request for road closure. Superintendent Andy Walker from Hackney Police said: “We’re aware of a message on social media suggesting that a ‘protest’ is planned for next month in Stamford Hill. We have contacted the individual who posted this message to see if it is genuine and we are waiting to hear from him. Bonehill has insisted that if he is blocked from closing roads, the rally at Clapton Common will go ahead regardless. Bonehill told the Citizen that he expects up to ten different nationalist groups to participate in the rally. In the wake of the announcement, various activist groups are calling for counter-action against the rally. The announcement came days after Holocaust Memorial Day, commemorating the seventieth anniversary of the liberation of Auschwitz. An anti-racism march through central London is scheduled for 21 March, commemorating the United Nations International Day for the Elimination of Racial Discrimination. Shomrim has been approached for comment.